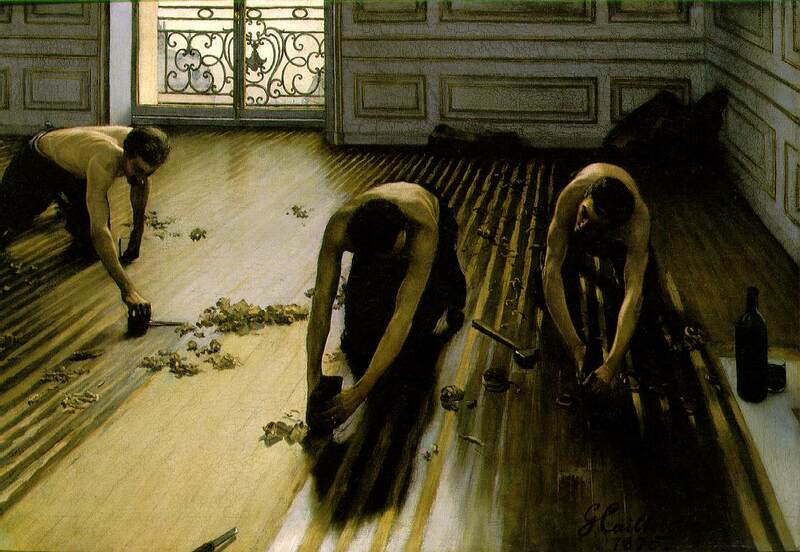 "The Floor-scrapers" or "Floor-strippers". Probably painted in the family home in the Batignolles area. 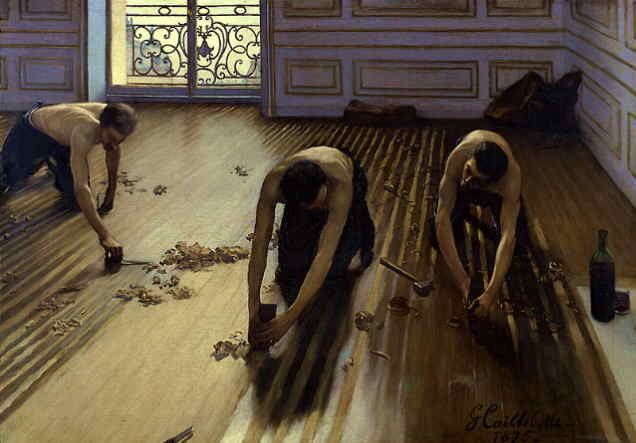 It is typical of Caillebotte's taste for unusual perspectives and scenes from modern life, including so humble an occupation as floor scraping.